Mair Elliott is 21 years old and is a mental health and autism campaigner in Wales, raising awareness through talking about her own personal experience. Mair has autism spectrum disorder and has been battling serious mental illness since she was 14. Since then, she has received support from mental health services and fights on a daily basis to recover from her illness. Despite her personal struggles, Mair spends her time campaigning for improved services and increased awareness of both mental health and autism. She provides written and verbal evidence to government committees, sits on expert reference groups, participates in television programmes, speaks at events, blogs about her experiences, and much more. She is a trustee of Hafal, Wales’ largest service provider to people with mental illness, a research champion for the National Centre for Mental Health (NCMH) based at Cardiff University, a Time to Change Wales youth champion, and contributes to projects run by Disability Wales, Pembrokeshire People First and Pembrokeshire County Council. Mair has achieved all of this and more whilst fighting her own mental illness. She has had to learn how to live with Autism, facing stigma and discrimination along the way. In the face of these struggles though, Mair continues to work and fight for the right support and care for herself as well as others. She is passionate about empowering young people to speak up and stand up for what they believe in. Mair is currently studying biosciences at college and hopes to study neuroscience at university. 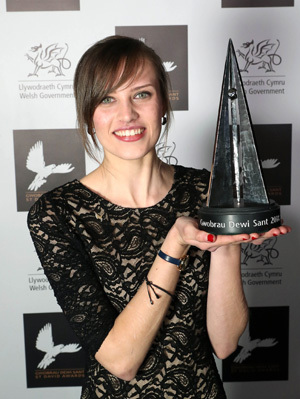 In 2018, Mair won the St David Award for Citizenship.